Flowers, chocolate, and wine are always appropriate hostess gifts. But this time of year, I feel the pressure to find a unique and festive present for each of our holiday hosts. Instead of putting unnecessary stress on myself, I've spent some time coming up with a no-fail gift basket that works for every occasion. 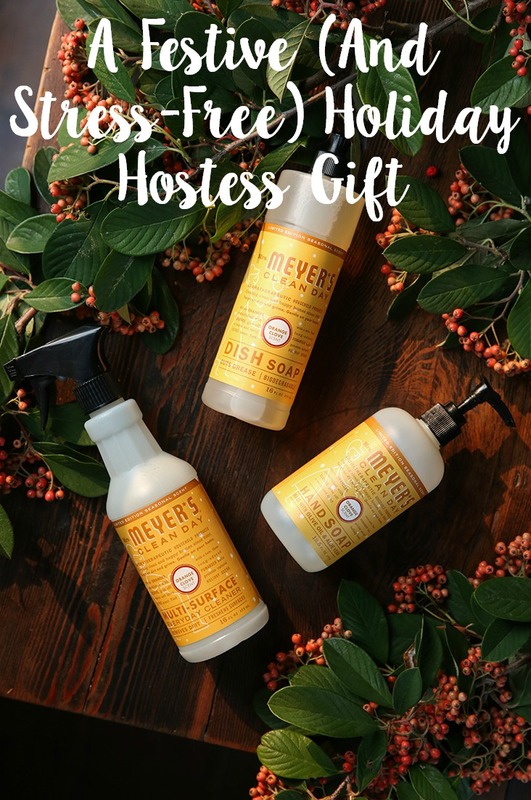 This gift basket was inspired by my love for Mrs. Meyer's holiday scents. No one — and I mean no one — can resist the smell of peppermint, orange clove, and Iowa pine this time of year. Instead of a traditional gift basket, I chose a cleaning caddy to stick with the household theme. You can use anyone you like, but I’m especially fond of Grove Collaborative’s white enamel caddy. So useful and pretty! Skip the tissue paper and line the caddy with this gorgeous seasonal towel. It’s super thick and absorbent — perfect for drying dishes and mopping up spills while preparing a big meal. Place the tallest item, the multi-surface spray, in the middle. 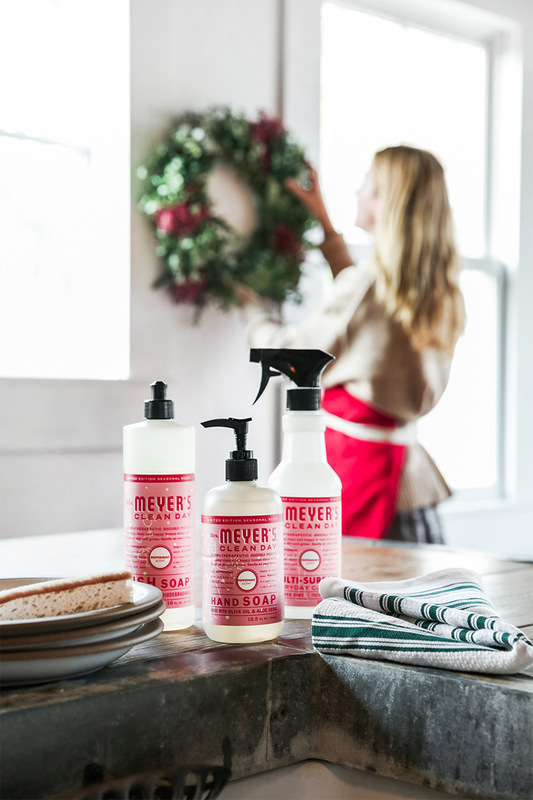 Your host or hostess will appreciate this endlessly useful spray for cleaning countertops, backsplashes, and appliances after guests go home. Arrange the smaller items beside the multi-surface spray. 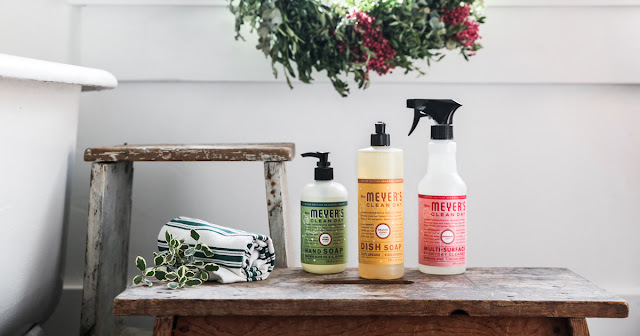 Mrs. Meyer's hand soap and dish soap are necessities in my kitchen, and guests always rave about the cheerful scents. I chose Iowa pine for this gift basket because it reminds me of a fresh-cut Christmas tree! I like to forgo traditional "fillers" like cellophane or shredded paper in favor of something more festive and eco-friendly. In keeping with the Iowa Pine scent, I gathered a few pinecones from our yard and tucked them into the gaps. If you chose the Peppermint scent, you could use candy canes and individually wrapped chocolates instead. And how fresh would some juicy oranges and fragrant cinnamon sticks look peeking out among the orange clove kit? That's it — your hostess gift is ready to go! Now, don't forget to treat yourself, too: In addition to the holiday set, Grove Collaborative is giving you a free 60 day VIP trial. 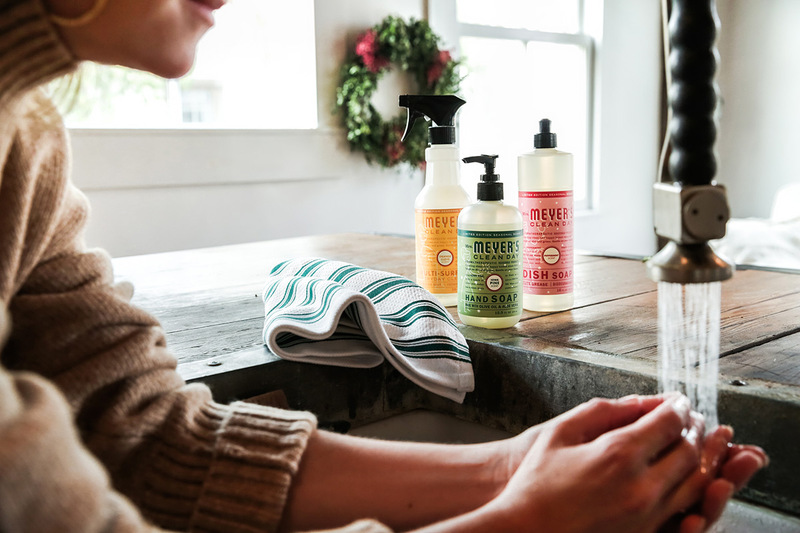 Once you've submitted your first Grove order using my link [insert your referral link], you'll experience VIP perks like free shipping, free gifts, price matching, exclusive sales and personal service. Don't forget to order ASAP! This offer won't last long!